It is the summer which means college students are trading in their yoga pants for pencil skirts and heading into the cities for their internships. 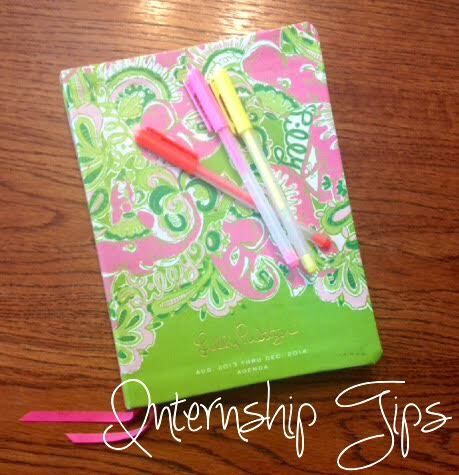 This summer will be my 4th internship and here are a couple of tips and tricks I have picked up along the way. |Dress the Part| Your office may be super laid back and shorts leggings are okay, but try and keep it professional. Maybe just dress casually on Fridays. If you are dressing up you will feel the part. And who knows, you may run into the CEO and you will be happy that you are sporting a blazer. |Urgency is the Best Quality| I do not care if you are getting one task to do a day, get it done ASAP! Do not elongate the project, get it done immediately. Being an intern you feel like because you have no power so no one is even looking at you. That is wrong all eyes are on you, so keep up the pace and give it your best effort. |Own Up to Your Mistakes| Everyone makes mistakes, and no one is expecting you to be perfect. Just own up to them, learn, and move on. |Downtime isn't Fun time| You are an intern. You will probably have a ton of downtime, and there is a way to be productive and helpful to the company you are working for. Learn about the company, just research, research, research. Know so much about the company, you know more than the founder. You are not helping anyone by looking at Buzzfeed list. |DO NOT Gossip| This is probably the one that can get you into the most trouble. Our generation has a hard time with this. And this can only hurt not help you. |Communication is Key| If you can type out a grammatically correct email and talk professionally on the phone with customers, you are already ahead of the curve. Something as simple as this can be a game changer.